If you haven’t already heard of Illustration Friday, I encourage you to check them out. There is something so friendly and encouraging about their site, and I always enjoy creating art for their prompts. This week’s prompt was “Game.” I took it as “The Game” or even “Game ON.” Below are my two variations. Have a favorite? Another year, another round (or several) of MATS courses! This year, agent Lilla Rogers of Make Art That Sells offered a free course to the winner of the Holiday Card challenge. The prompt: Favorite Holiday Drink. Aside from coffee in the morning, my favorite holiday drink is red wine. I wanted to create a cozy, wintry look for this card, with a not-so-dainty glass of red wine. It’s been a very long time since I’ve studied the human body in its nakedness or almost nakedness. I find myself embarrassed in front of a not fully-clothed model, and I shirk away from live sketch nights because of it. For a recent pitch, however, I was prompted to look more at the female form, looking at her — staring! — and drawing her in all of her shapes and personality. I found it to be so much fun. Not embarrassing at all. Who knew? My grandmother spent her last few years in a nursing home, and after my visits with her, I would always wish I'd listened more (wisdom! stories! life lessons! history!). Even though I cared immensely and wanted to make fulfilling conversation with her and her friends, I felt nervous about what to say and unsure how to interact. This really bothered me, and I've been ruminating since on how to be more present and at ease in similar situations. Recently, it occurred to me that art might be my gateway. After contacting the nearby nursing home, I arranged to go in for an hour every couple of weeks to draw quick portraits of any residents that would like to sit for me. For now, I'm choosing the all-one-line technique (drawing without lifting my pen), as it is not only fast (5–10 minutes per portrait), it does not allow for fussing over mistakes. The process forces me to stay present and allow for whatever happens to happen. It also gives me a chance to look — truly look — at the face of each person, and listen as she or he tells me stories of falling in love, past careers, and children raised. 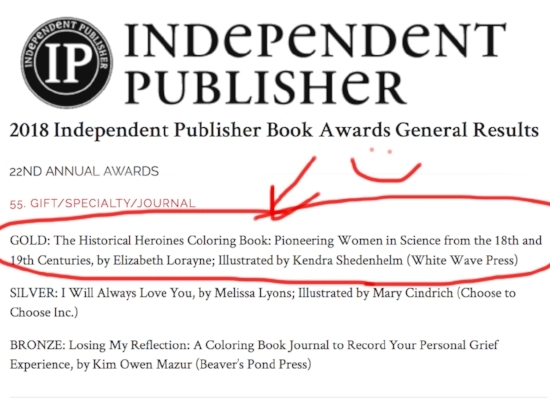 Historical Heroines Coloring Book won an IPPY Gold! The book that I illustrated last summer, The Historical Heroines Coloring Book, has won an IPPY Gold! Although I'm a little late on posting this, I read Vincent and Theo by Deborah Heiligman for book club in February, and I found it incredibly inspiring. I think it about daily. I never studied Van Gogh in college, and I really only knew that he was mentally ill, cut off his own ear and was friends with Gauguin. But the story that Ms. Heiligman has weaved together through the letters between him and his brother told of a kind, thoughtful and extremely hard-working artist. He was dedicated to becoming a better and better draftsman and painter, and he consistently sought his brother's feedback on how he could improve. I was surprised to learn that he struggled with color (as do I), and he worked diligently to develop and modernize his palette. I was so impressed. This book has much to offer — it's a passionate tale and also educational and inspirational. I highly recommend! The portrait below was my take on Vincent shortly after I finished the book. I love Illustration Friday, and I've been using their prompts to create new work since 2015. A couple weeks ago, amidst a dearth of gray days and a cloudy head, I found out that I won a challenge! It was exactly what I needed to kick start a better frame of mind. Thank you once again, Illustration Friday! At the Atlanta Market this past January, more of my Watercolor Animal collection was launched — pillows! Thank you, Creative Co-op! I received a couple samples, and they look great. Excellent quality pillow, too. Yep, stoked again. My cover illustration for Historical Heroines is now a finalist for the da Vinci Eye Award! You can learn more here. Thrilled! I also recently caught this awesome review of Historical Heroines by Lois Henderson. Stoked! Thank you, Lois! Have a review of the HH Coloring Book to share? Please let us know! Homeschooling and looking for engaging lessons about history and science? Try The Historical Heroines Coloring Book! "Yay!! And do you quiz her about the people that she colors after? I’m curious if it helps with learning." "Yes, I make her tell me about them and she recaps. I think it does help because it breaks up the plainness of most book work and lets her be creative while learning." I'm so thrilled about working on this Historical Heroines project. I've had several messages from friends like this one. 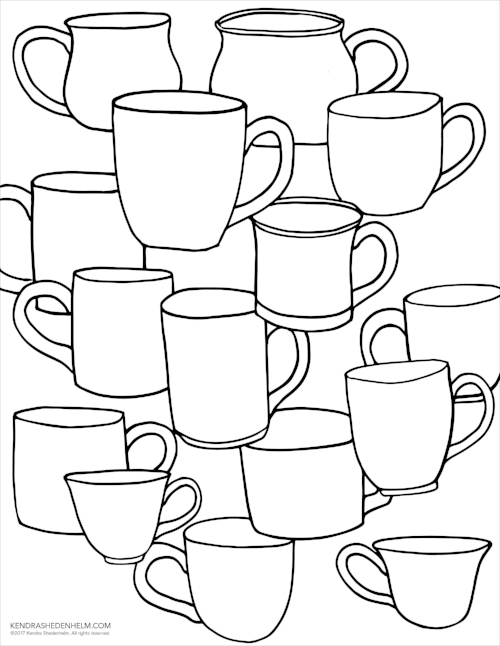 The information really seems to sink in with this coloring activity, and there's curiosity for more. If you have a story or an image you'd like to share with me about your experience with The Historical Heroines Coloring Book, please feel free to email me or tag me on Instagram. I'd love to hear from you! What is an #alloneline drawing? 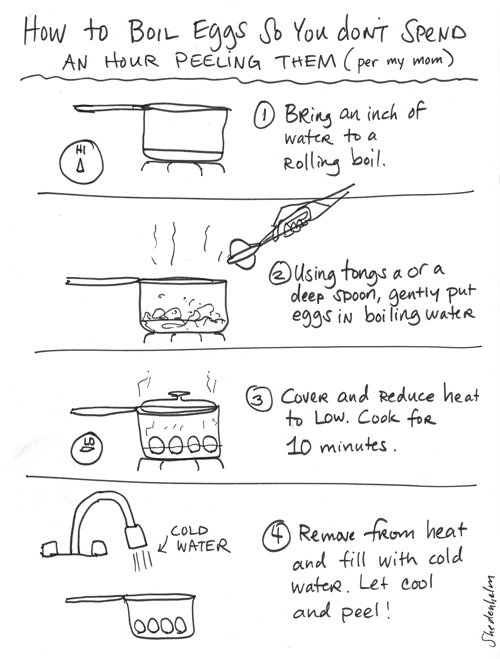 I took an excellent online course with Von Glitschka awhile back, called the 21 Day Drawing Challenge. One of the prompts is to draw an image without lifting the pen. Just one intuitive, free-flowing line. It has been such a fun activity for me, and it really captures the something-from-nothing feeling that I can get when I create. If you ever feel stuck or concerned about perfection, I encourage you to try it. Some of my recent all-one-line drawings are below. To see posts of other artist's #alloneline drawings, search the hashtag on Instagram. Cool stuff. Just about every Thanksgiving holiday since my son came along, my parents will drive from Illinois to New York to stay with us for the week. Aside from a daily walk that I take with my dad and some dinners out here and there, we tend to keep plans minimal. However, one plan we have made so frequently that it has now become a Thanksgiving tradition, is to stop at the local pottery place to paint ornaments for each other. It surprises me every year how enjoyable and calm it is to paint with my parents, and the pay off of memory and gift is huge. My parents painting away. Thanksgiving, 2017. After spending several months working in a simple line style for The Historical Heroines Coloring Book, I really wanted to spend some time with collage again. Update #4: The Historical Heroines coloring book! This was hands down one of the coolest projects I've ever been a part of. I couldn't be more grateful to have been chosen as the illustrator. Crowd-funded and quickly labeled as a "Project We Love" on Kickstarter, this coloring book was conceived by the brilliant, eco-conscious and science-minded author Elizabeth Lorayne. As explained from her site, "The Historical Heroines Coloring Book: Pioneering Women in Science from the 18th and 19th Centuries was born out of a desire to inspire and empower children, teens, and adults with coloring pages celebrating 31 women in science who followed their passions and let their brilliance and hard work speak for themselves — making significant impacts in our world." For several months, I was fortunate to spend my days researching, drawing and painting these various STEM heroines. I read their histories, their personal letters, their eulogies. Because of this project, I now study bugs as they crawl by, I pay attention to the leaves and their growth patterns on my walks, and I look at the sky with much more curiosity. Elizabeth's desire to inspire worked!